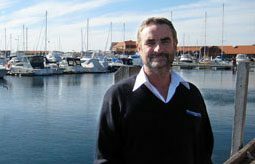 Welcome to Oceaneer Marine Broker, Perth’s Premier Marine Broker for Quality Vessels offering used and new commercial and recreational boats for sale across Australia from our WA location. More than an empty cliché you really will be working directly with the man that owns the store. I pride myself and my business on my active involvement in the Commercial Fishing Industry for over 37 years and through offering new and used boats for sale and will continue to be an active voice representing your views and needs in both government and non-government organizations here in Australia and overseas. Whether you are a commercial fisherman, charter operator, are looking for a recreational boat for a lifestyle investment or are servicing the offshore oil and gas industry you can rest assured that our wide network of contacts around the globe will be of benefit to vessel purchasers, sellers and builders. If I don’t have it I can find it. Drop me a line here in WA, Australia by using the link below and I will get back to you. Not only do we list a range of used vessels for sale across Australia, but we also offer new vessels for sale including custom aluminium built vessels from 7m to 34m and a new range of Maritimo vessels. Oceaneer have managed the sale and building of many private and commercial boats which have been delivered on time and on budget. All of our new owners have been absolutely delighted with the manner in which we were able to arrange the sale and more importantly the quality of the build. All new vessels are custom made, built to code and finished to the highest possible standard. Our clients expect the best and that is what we deliver. I began Oceaneer Marine Brokers in 2007 and have been involved in the Rock Lobster Fishing industry since 1979 and continue to hold a large and active investment in the industry. Over the years I have served on many committees and have always been proactive in all issues that affect the fisherman, the community and the management of the industry. We also deal in Commercial Fishing Licenses. Should you wish to buy, sell or lease we are able to facilitate agreements between parties according to stock availability. We are one of the most active brokers in Western Australia for the Western Rock Lobster industry and sell more and lease more licenses than any other broker. We now manage many retired clientes superannuation pots as well as trading many pots through the year. Whether you are buying, building or selling a vessel, recreational or commercial we have the advantage, which has been proven over many years resulting in vessel sales not only in Australia but all over the world. Oceaneer Marine "Supporting Your Industry and the Wider Community"